How do the nervous and the integumentary systems work together? 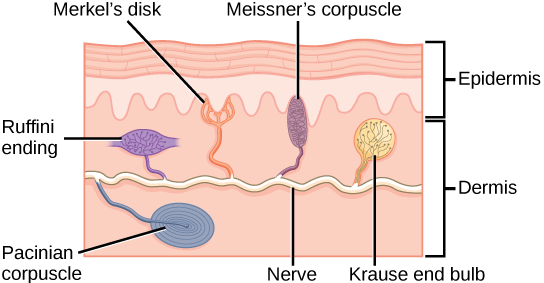 Skin and its appendages are part of integumentary system where specialised sensory nerve ends are present. 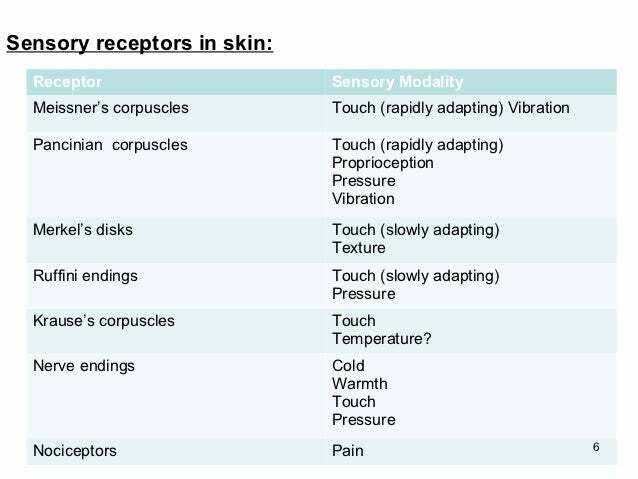 These sensory ends receive stimuli and send impulses through sensory neuron to CNS. We feel sensation of pain, pressure, temperature changes, etc because of association of nervous system with integumentary system. Pacinian Corpuscle, Ruffini's end organ, Merkel's disc, Meissner's corpuscle, Krause's end bulb.